Fashion and flowers coexist and this polymer clay Orchid flower jewelry strongly supports this idea. 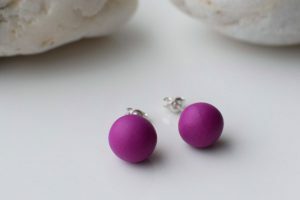 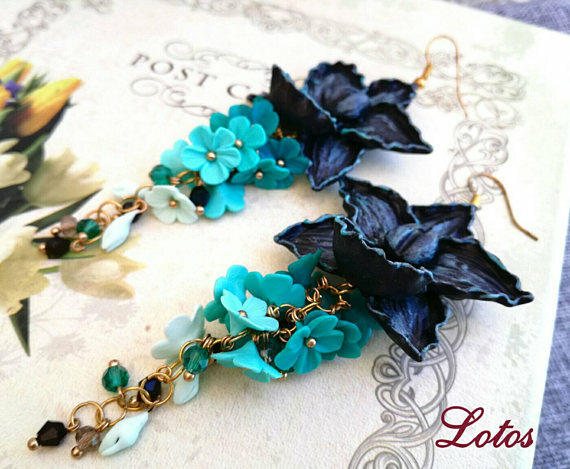 They are easy to match and you can wear it according to your most fashion style. 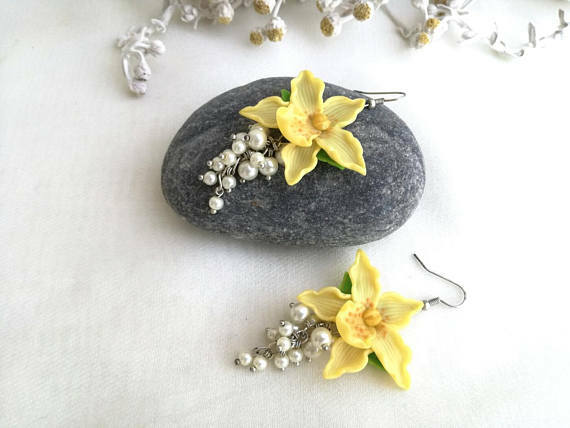 These elegant floral jewelry will be perfect gifts for romantic girls and women. 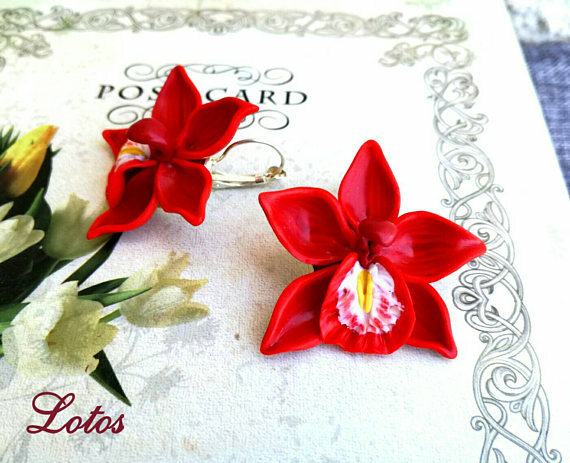 If you are not confident to create your own, but you’ll love to have a polymer clay Orchid flower jewelry, you can order them over LotosJewelryHandmade shop on Etsy. 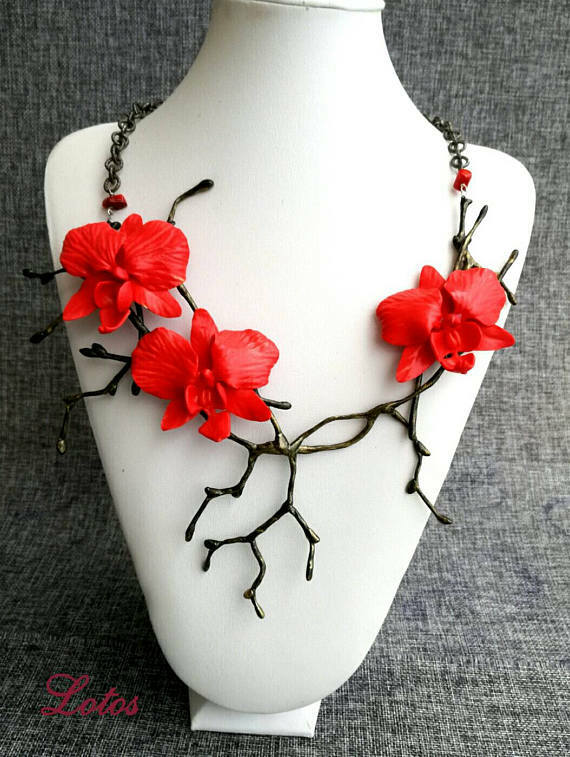 From all the flowers in the world orchids seems to have an endless shapes and colors. 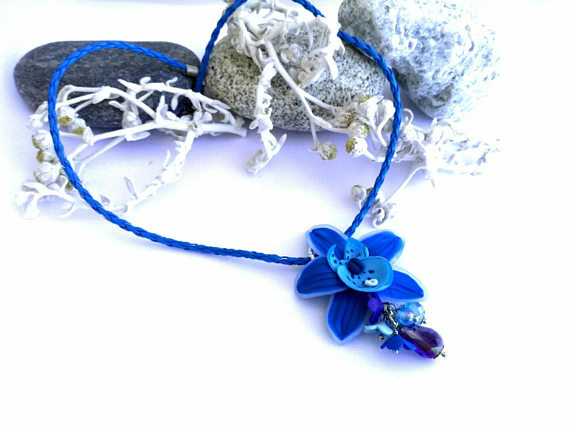 I never seen in real life one in dark blue color, but I would love to have some polymer clay Orchid flower jewelry in that color. 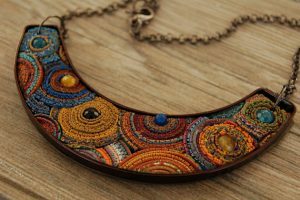 If you are a fan of handmade jewelry, you can use this link for more lovely ideas.